People familiar with hedge funds know exactly what drawdown is. Though, I feel that the term is not correctly understood, even if you have had some experiences working in this industry. The drawdown, which literally means “decline, reduction, draught”, does not simply represent a decline in the net asset value (NAV). Putting it plainly, a drawdown is the negative period of performance between a peak (new highs) and subsequent valley (a low point before moving higher). 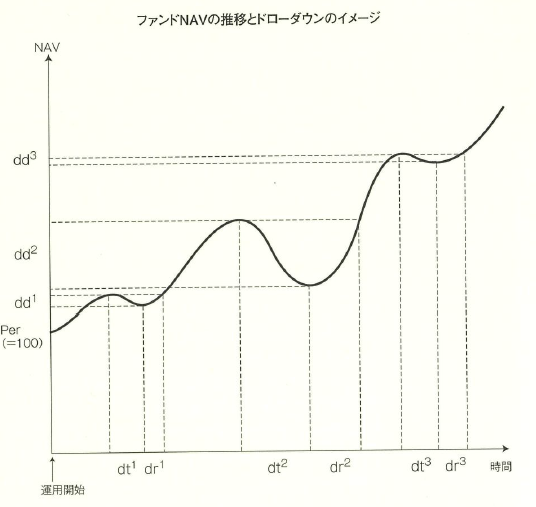 In short, the drawdown of a fund, whose NAV continues going up, will be any decline of the recent NAV. While, even if the NAV recovered 30 percent after it lost 50 percent from the peak, the maximum drawdown is still 50 percent. As investors cannot avoid losses in NAV, they should be aware how deep the drawdown is and how fast it recovers the previous peak. We have been talking about the performance evaluation and measurement from #1 to #5. It is very important for you to understand these factors of the fund in order to invest in a fund best suited to you.